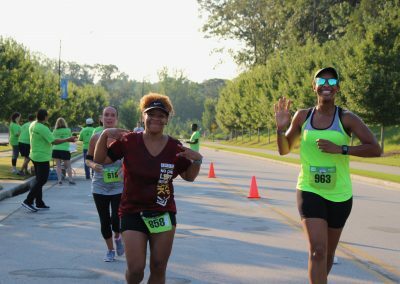 The Gwinnett Chamber, alongside Gwinnett County, continued to thrive and enhance the quality of life for all citizens in 2017. Our collective efforts served to reinforce Gwinnett’s success and our region’s economy and overall prosperity, and 2018 is already off to a great start. 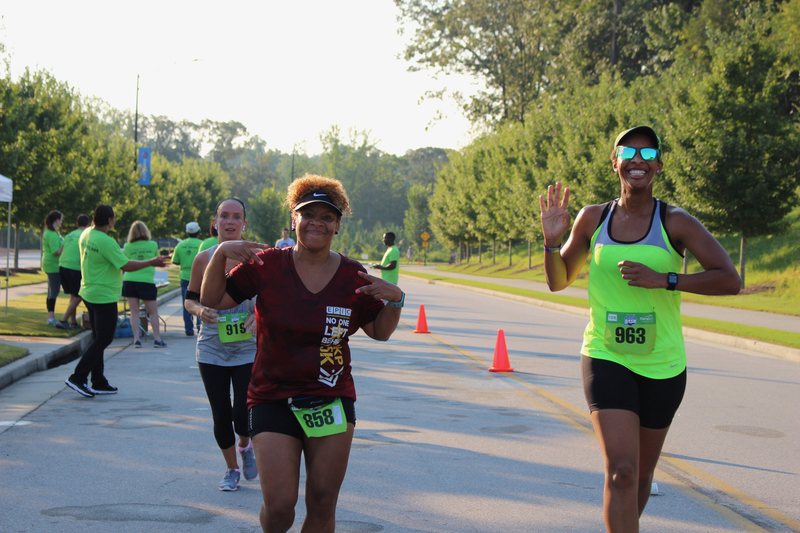 The over 900,000 residents of Gwinnett enjoy a prosperous business climate, a school system that ranks as one of the best in the nation, an award-winning public park system, world-class art, cultural, and entertainment activities, and a commitment to proactive environmental stewardship. 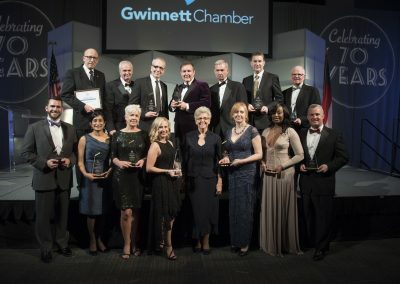 With more than 25,000 businesses, more than 120 languages spoken in our schools, and more than 650 foreign-owned companies calling Gwinnett home, we illustrate what a growing and dynamic community looks like now and in the future. To that end, the Chamber continues its commitment to strengthen the community by helping businesses prosper and by doing our part to help facilitate economic prosperity. 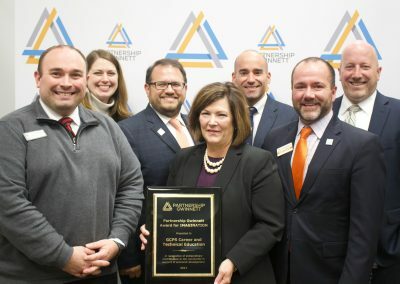 We appreciate our valued members and your continued commitment to making the Gwinnett Chamber an integral part of the community team devoted to ensuring that Gwinnett continues to be a thriving community of choice in which to live, learn, work, and play. With a shared community vision and sense of commitment, we will continue to ensure that “Success Lives Here.” We look forward to working together in 2018. The Gwinnett Chamber will be the forum for business, government, education, healthcare, arts/culture/entertainment, and philanthropic and public service communities to come together to advance our region’s economy and enrich Gwinnett’s quality of life. 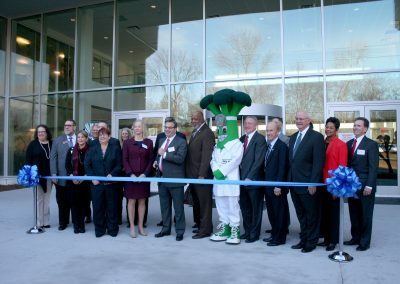 The mission of the Gwinnett Chamber is to strengthen existing businesses, facilitate the growth of quality job opportunities and enrich the community’s quality of life. Serve as the forum for all the major community constituents to discuss economic and quality of life opportunities and encourage action. Advance the economic environment and quality of life for the broader community – business and general. Provide value to all members, addressing the different needs of different types of members, to help them prosper and grow. Further develop the Chamber into a smooth running, financially strong, collaborative organization. Tom Andersen, Andersen Tate & Carr, P.C. 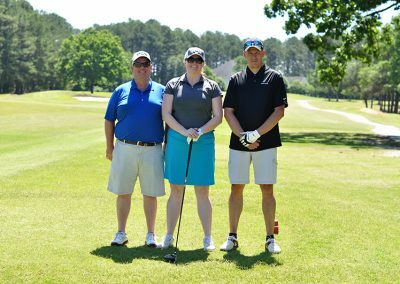 Carla Carraway, Precision Planning, Inc.
Tony Powell, Webb, Tanner & Powell, P.C. Raymer Sale, E2E Resources, Inc.
David Snell, E.R. Snell Contractor, Inc.
John D. Stephens, John D. Stephens, Inc.
Fred Dawkins, Frederick C. Dawkins, Esq., P.C. Jerri Hewett Miller, Wealth Horizon, Inc.
Shiv Aggarwal, American Mgmt. 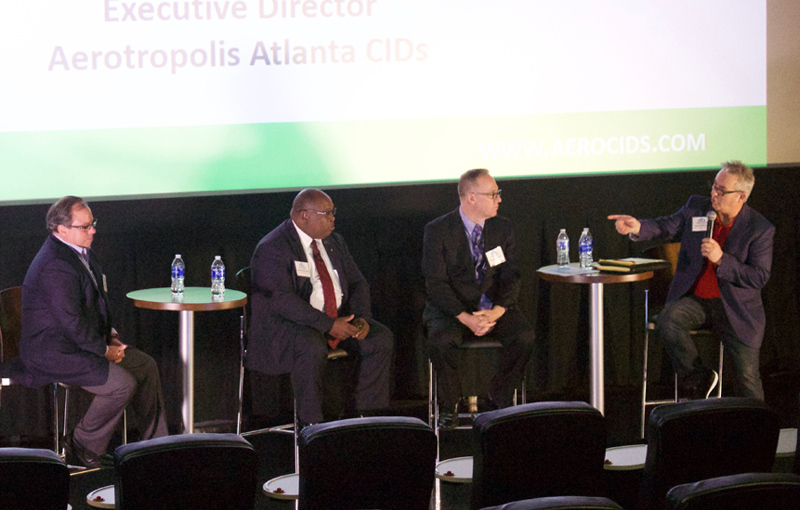 Services, Inc.
Kevin O’Brien, Ameriprise Financial Services, Inc.
Stephen K. Hill, SKH Enterprises, Inc.
Atlanta Regional Commission Chairman Kerry Armstrong presented to a sold-out crowd at the first ON TOPIC of the year. 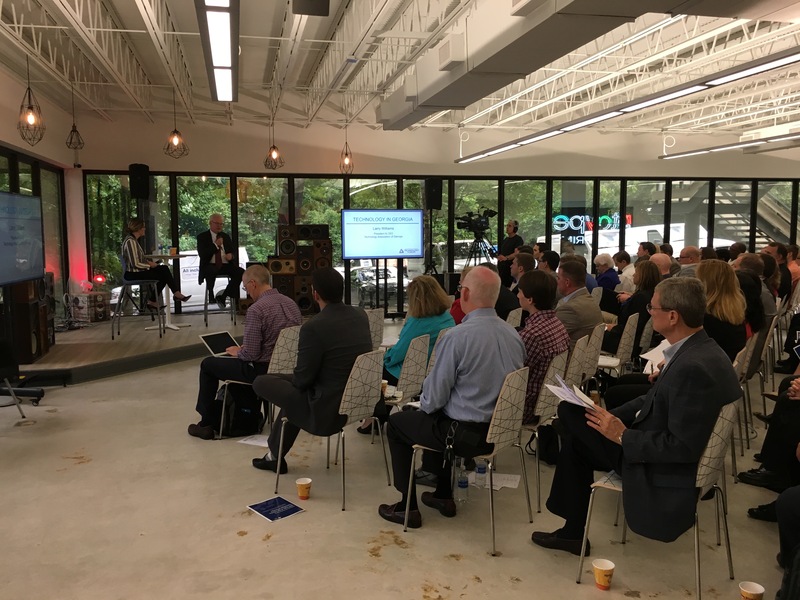 The year started off strong with Partnership Gwinnett launching PG 3.0-Gwinnett’s third consecutive 5-year economic development strategy. 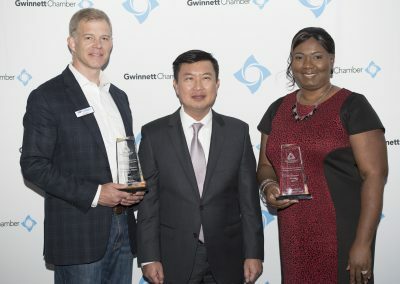 In January, Partnership Gwinnett wrapped up its highly successful capital campaign-announcing at the PG 3.0 kickoff event that it had raised $3.6 million in private dollars. 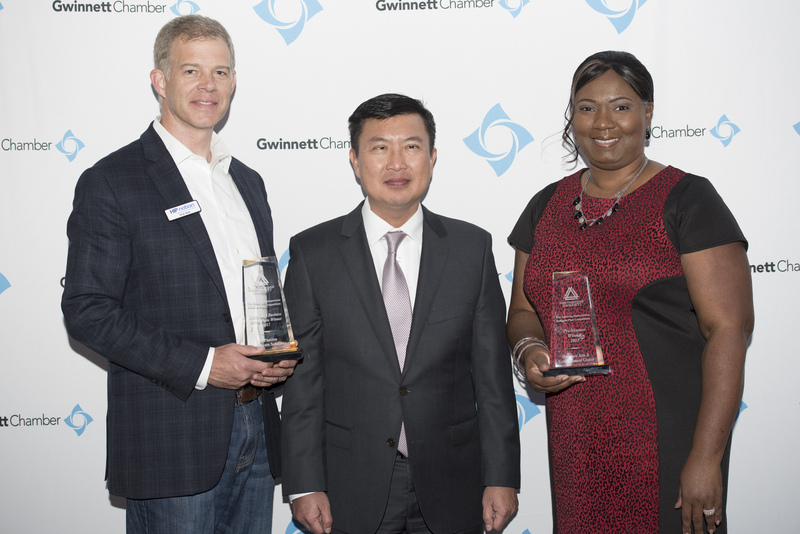 In 2017, Partnership Gwinnett visited 213 companies and saw 16 project wins with 2,312 jobs added representing $205.2 million in capital investment. The largest event of its kind in the region, the annual State of the County Address-featuring Gwinnett County Board of Commissioners Chairman Charlotte Nash-garnered more than 750 attendees. The 2017 Membership Campaign surpassed its annual goal of $1,335,000, raising a record $1,540,640. The Gwinnett Chamber Public Policy Advisory Council was formed, led by Vice Chair of Public Policy, Dean Collins. 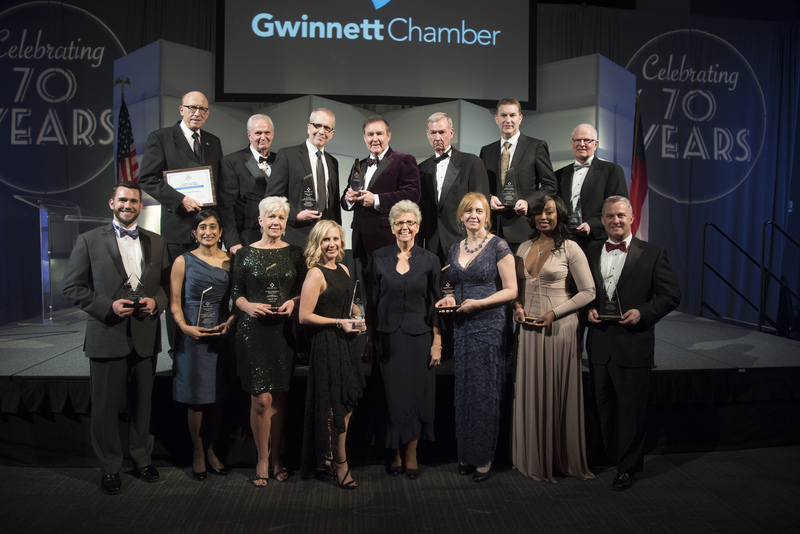 69th Annual Dinner celebrated the best and brightest in Gwinnett business and community leadership to 900 guests. 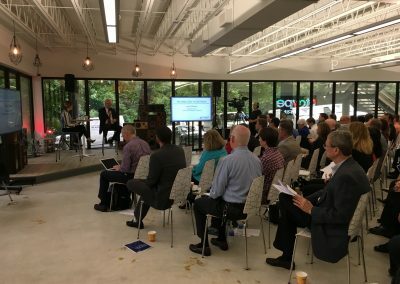 Georgia Department of Transportation Commissioner Russell McMurry brought members up to speed on mobility at the March ON TOPIC. Honored public safety professionals for bravery and service at 12th annual Valor Awards ceremony. Lady leaders sipped and socialized at the annual Women’s Wine Tasting Business Connection, held at the Duluth Town Green. The April ON TOPIC featured Senate President Pro Tempore David Shafer and Representative Chuck Efstration. Members gained insight into what occurred during the legislative session and had the opportunity to network with Gwinnett’s delegation. 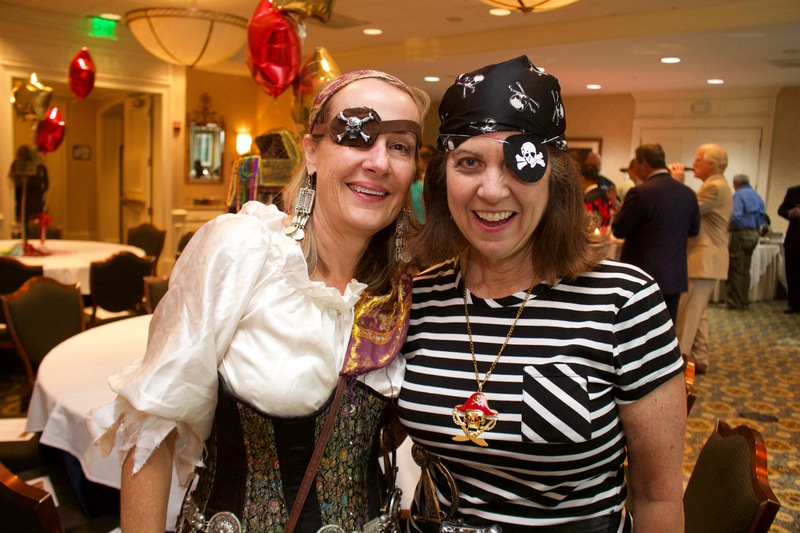 We hosted our first-ever Gwinnett Family Fest. Surpassing all expectations, this event drew more than 4,000 people who came to the Gwinnett Chamber parking lot on a Saturday afternoon to meet area businesses, eat great food and enjoy rides and entertainment. 30 business and community leaders from Gwinnett participated in the Washington, D.C. Fly-In and met with members of the Gwinnett congressional delegation, as well as other D.C. decision-makers to share views on federal legislation impacting businesses and the community. Gwinnett County Board of Commissioners issued the 4th annual Gwinnett Small Business Week proclamation. Professional perspectives were provided by Atlanta Falcons President & CEO Rich McKay at Executive Insights. The IMPACT Regional Business Awards brought together more than 600 professionals, representing the industries that drive economic development and job creation. Nine outstanding organizations were recognized as recipients. Chamber Staff, members and Gwinnett Young Professionals led cleanup, gardening and planting efforts at annual Chamber Gives Back Day at McDaniel Park Farm in Duluth. Chairman’s Club Private Golf Tournament was held at Summit Chase Country Club with 130 golfers. The June ON TOPIC featured insights from the new chancellor of the University System of Georgia, Dr. Steve Wrigley. 4th annual Gwinnett Small Business Week celebrated with over 500 small business attendees. Twenty-seven graduated from the Gwinnett Young Professionals Leadership Institute in the 3rd cohort. Renowned real estate mogul Jenny Pruitt shared her story at the July Gwinnett Leadership Organization for Women program. 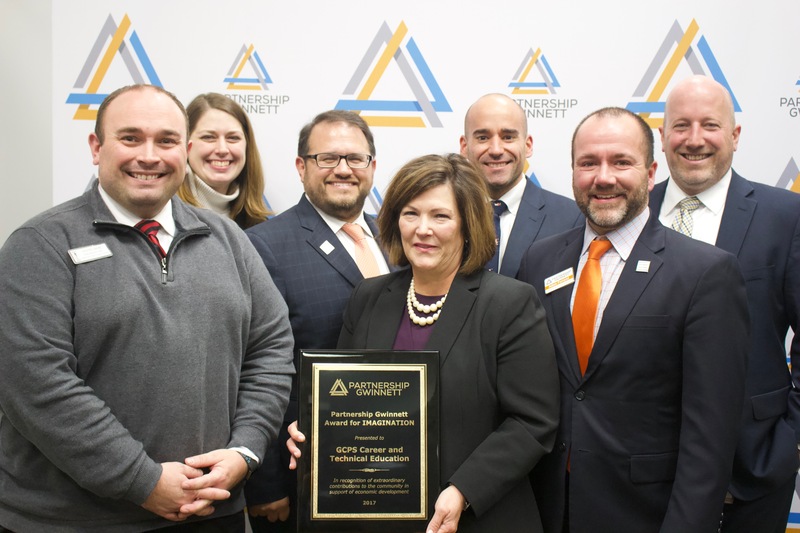 The first-ever Membership Blitz was held under the guidance of consulting firm, Your Chamber Connection, and under the leadership of Campaign Chairman, Addam Taussig, and our tireless Vice Chairs. Our Chamber produced the highest blitz result for a first-year campaign in the 30+ years that Your Chamber Connection has conducted Membership Blitzes. More than 220 dedicated volunteers worked tirelessly to man the phones- and their efforts brought in 336 new members and $231,000 in revenue … in just three days! Georgia Chamber President & CEO Chris Clark provided a political update and statewide overview at the August ON TOPIC. The August Executive Insights provided a look into the professional life of Billy Milam, president of RaceTrac. Small Business Resources co-hosted the first multi-lingual speed coaching event for entrepreneurs, providing expert coaching sessions to entrepreneurs in five languages. A packed house learned how to build their brand from Kim Guthrie, president of Cox Media Group, at the August Gwinnett Leadership Organization for Women event. 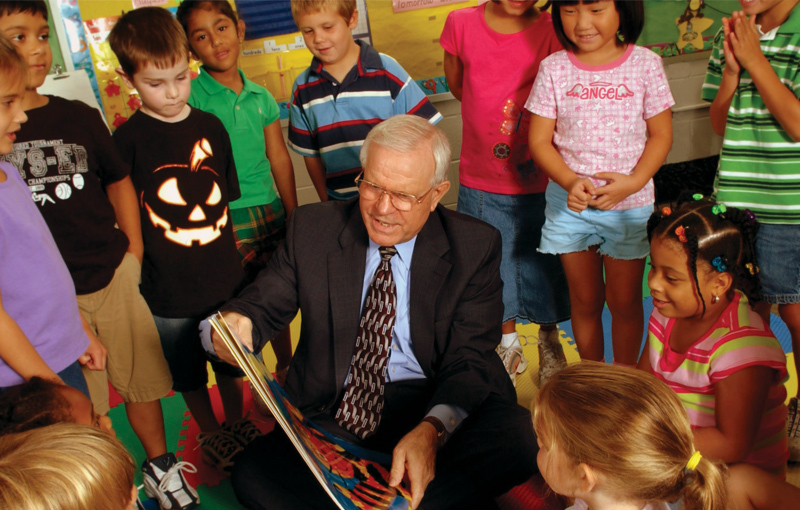 CEO/Superintendent of Gwinnett County Public Schools J. Alvin Wilbanks presented the annual State of the Schools Address to a full room at ON TOPIC. 70 attendees explored innovative ideas and initiatives during the Strategic Leadership Visit to Toronto. Held second annual multi-chamber mixer event at Verizon Amphitheater with a sold-out attendance of more than 500 members from the Gwinnett, Greater North Fulton, Johns Creek and Alpharetta Chambers of Commerce. Gwinnett Young Professionals celebrated its 2nd anniversary at Eagle Rock Distributing. Business was built in a relaxed setting at the annual Fall Classic Golf & Tennis Tournament. Hospitality was highlighted by heavy hitters Julie Musselman, executive director at Georgia Association of Convention & Visitors Bureaus and Kevin Langston, deputy commissioner, tourism division at Georgia Department of Economic Development, at the Tourism Talk ON TOPIC. The Gwinnett Leadership Organization for Women hosted its first Cocktails in the Courtyard Business Connection at the new Embassy Suites. An economic outlook was provided by Mark Vitner, managing director and senior economist at Wells Fargo, at the November ON TOPIC. Pinnacle Small Business Awards hosted 550 attendees with the overall winner, American Painting & Renovations, being selected from 678 nominees. 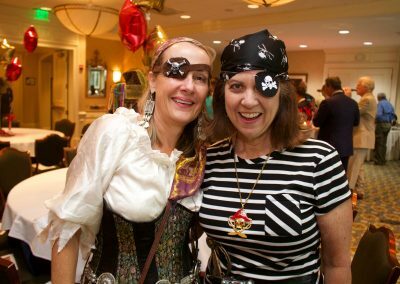 The annual Holiday Soirée, hosted by Gwinnett Leadership Organization for Women, provided the opportunity to expand professional connections and celebrate the season. The Healthcare Awards honored leading individuals and organizations and brought together nearly 300 industry professionals. The Legislative Luncheon at ON TOPIC featured Lieutenant Governor Casey Cagle, who provided a preview into 2018, while creating an opportunity for members to connect with area elected officials. Twenty-three graduated from the Gwinnett Young Professionals Leadership Institute. Launched in 2014, Gwinnett Small Business Resources was developed to provide entrepreneurs and small business owners with a comprehensive collection of resources, education, programs and tools to: assist in properly starting, sustaining and continuing to succeed in business, raise awareness of resources available to aid in success, position the Chamber as a reliable starting point for finding business assistance, gain practical and functional education in topic-specific areas of business and deliver relevant programming to help businesses grow successfully. 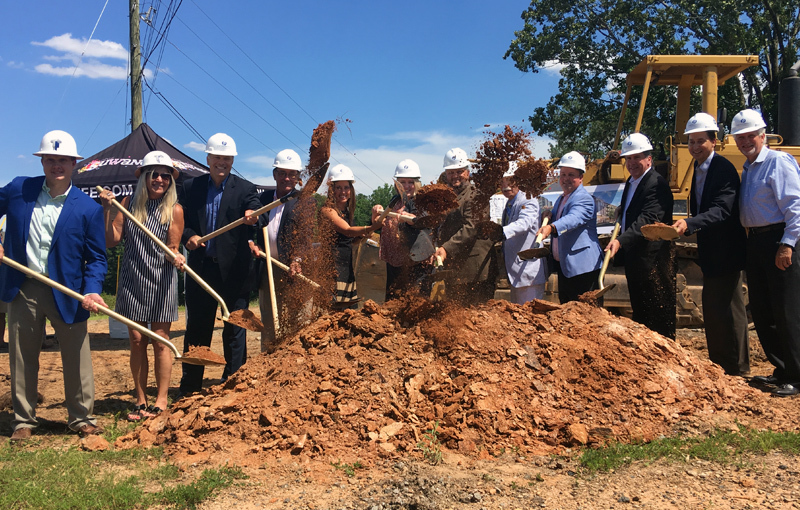 A public-private initiative dedicated to bringing new jobs and capital investment to Gwinnett County. 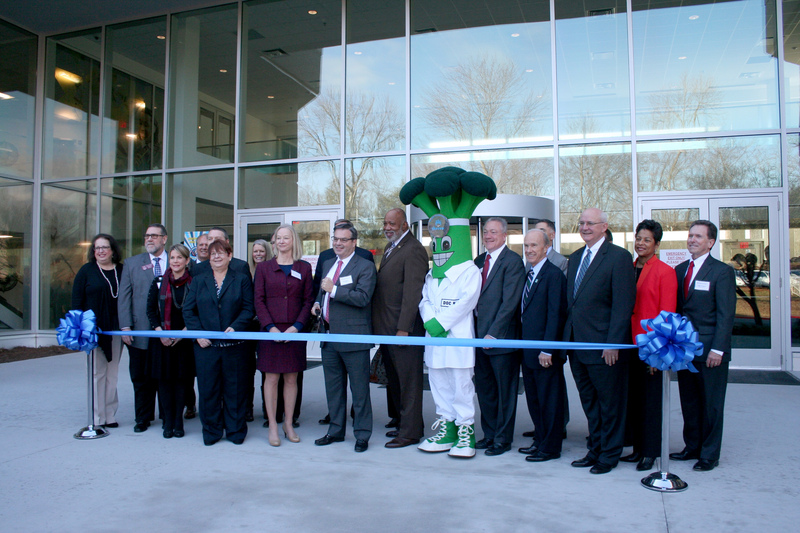 Since 2007, Partnership Gwinnett has worked with its local partners to attract and retain jobs, cultivate capital investment, support educational institutions, foster workforce development, and contribute to the exceptional quality of life found in Gwinnett. Recruit, retain and expanded businesses, as well as assisting entrepreneurs and high-value start-ups. Support the continued excellence of the county’s public and private school systems and collaborate with regional partners and post-secondary educational systems on workforce programs. Advocate for redevelopment, public safety, community involvement, arts and public policy efforts related to economic development.